More and more commercial building purchasers are choosing post frame construction as the method of choice for their light industrial commercial pole building. The wide range of attractive and flexible design features are simply unmatched. No job is too big for PermaBilt® (or too small for that matter)! 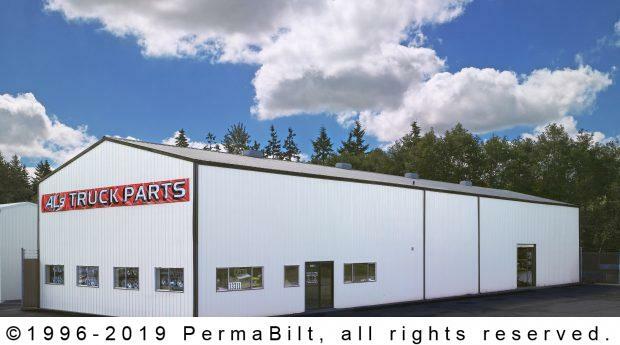 Take this 40’ x 120’ 2-story storage warehouse in South Snohomish County Washington we built in 1982. This was a huge project and there were numerous details to make sure were correct for the customer. 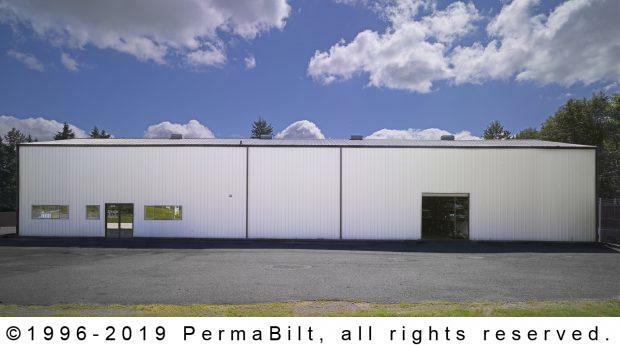 Once all the pre-construction details were completed (including the necessary permits) PermaBilt® was ready to construct the warehouse to the desired specifications. Although this was built over 35 years ago, the building still has straight lines, good looks and is still working for our customer. Walk-in doors: (2) 4’ x 6’8”, (2) 6’ x 6’8” double doors, (3) 3’ x 6’8” fire doors, (1) 6’x 8’8” fire door.